Offering incredible coverage, the Full Leg Armour protects the thighs, knees, and lower legs of the wearer. The steel leg guards feature leather inlays for increased comfort, while lateral hinges provide maximum flexibility. 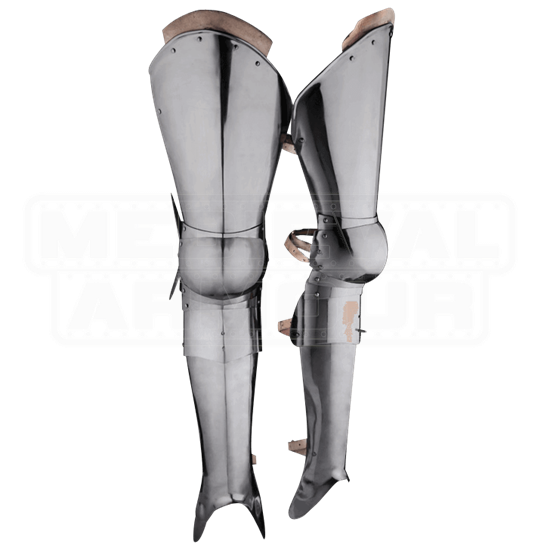 Rather than picking out individual cuisses, poleyns, and greaves, get all of your leg armour in one package! The armoured legs are adjustable with leather straps. 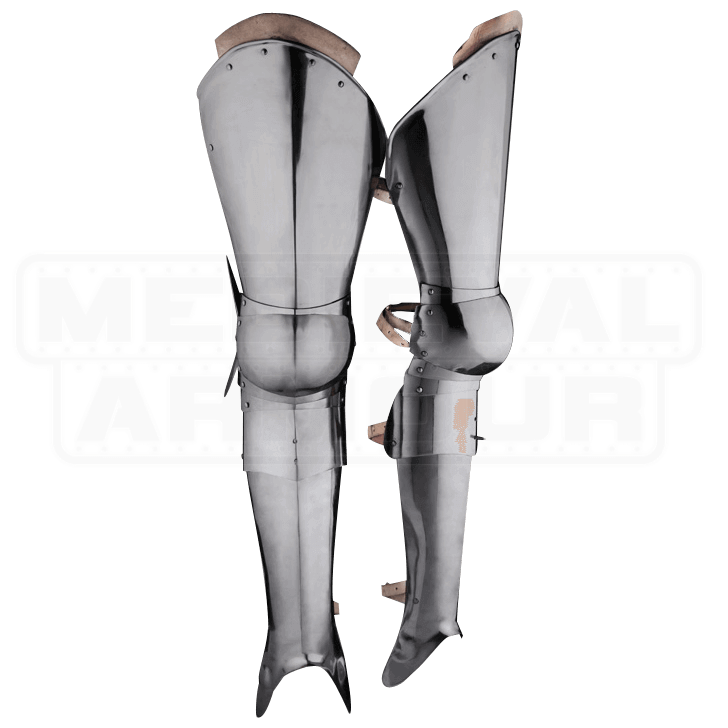 Perfect for LARP battles and historical re-enactments, the plate armour will give any warrior a knightly look.